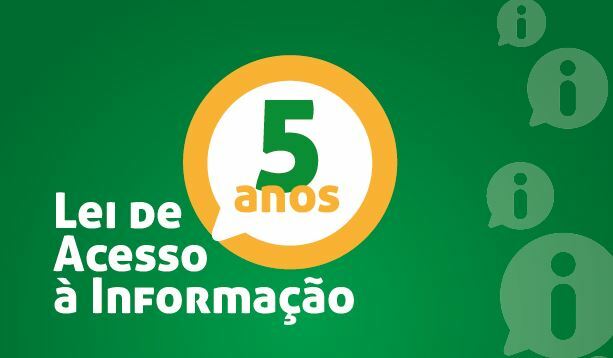 On the 16th May, the Brazilian School of Public Administration and Business at the Getulio Vargas Foundation (FGV-EBAPE), in partnership with the Comptroller-General of the Union, presented the event “5 years since the creation of the Freedom of Information Law (LAI) – Advances and Challenges”. At the gathering, civil authorities, academics and specialists examined the impact of the legislation on the public transparency process in Brazil. The discussions took place with the collaboration of the Ombudsman-General of the Union, Gilberto Waller Júnior, who participated in the conference as “Hearing Officer acting as an instrument for social participation and the Freedom of Information Law”. The discussions proceeded with the participation of Fabio Valgas, Superintendent of the Regional Office of the Comptroller-General of the States/Rio de Janeiro, who presented an analysis of the 5 years of the Freedom of Information Law in the Federal Government. The debate continued with FGV/EBAPE professor and co-ordinator of the Public Transparency Program at FGV, Gregory Michener, who presented the working paper “Transparency and Opacity in Brazil: 5 years of the Freedom of Information Law”. This activity was moderated by fellow FGV/EBAPE professor Fernando Guilherme Tenório. According to professor Gregory Michener, freedom of information laws, common in many countries, are in truth the pillars of modern democracies, for they constitute accountable performance of governments for the good of society. Freedom of this data, as the professor pointed out, makes citizens better informed and leads to and more participatory democracy. The co-ordinator of the Public Transparency Program at FGV, went on to say that in Brazil the Freedom of Information Law had brought many advantages, but there is still a long way to go as regards bringing visibility to public actions, especially at the municipal and state level. “In the Federal government, the Freedom of Information Law is functioning at an equal level or even better than in other countries. In the Federal Executive, there are still some problems, but we have a response rate of between 70% and 85%. This is a very good rate. However, in the states and municipalities, access still leaves a lot to be desired”, summarized the professor from FGV-EBAPE. Location: Centro Cultural da FGV (Praia de Botafogo, 186, Botafogo). Gilberto Waller Júnior, Ombudsman-General of the Union “Hearing Officer acting as an instrument for social participation and the Freedom of Information Law"